MANY conditions seen by practitioners today are not very responsive to allopathic treatments. Therefore, practitioners really need some more tools in their toolbox to help the non-responders. Herbal therapies have been used successfully by indigenous people for many centuries to help those suffering from both acute and chronic conditions. 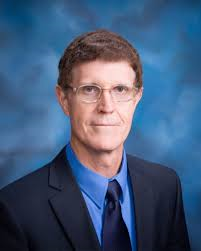 Dr. Cowden will share his experience using herbs and other natural, non-invasive therapies, including how to use infrared light-emitting diodes to increase the effectiveness of herbal therapies. He will discuss several of his favorite herbal and other natural therapies. He will discuss how the herbs work, why many of those he uses are unique and what conditions are most helped with these therapies. Cardiology/Internal Medicine/Integrative Medicine private practice from 1984 through 1987 in St. Louis, Missouri and from 1988 to present in Dallas/Fort Worth, Texas. Freephone 0800 88 44 33 to secure your place.